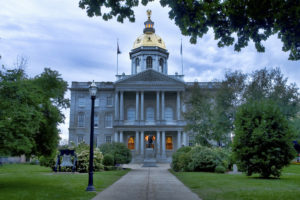 The New Hampshire General Court has sent the governor a bill formalizing a DOI stance on new-vehicle aftermarket parts as law and putting some serious teeth into an existing parts disclosure statute. Senate Bill 436 cleared the Senate in March and the House on Wednesday, and now goes to Democratic Gov. Maggie Hassan’s office. It appeared to have passed with voice votes. A different version cleared the Senate Transportation Committee on a 4-1 vote in February, and the version enacted passed the House Transportation Committee 13-2 in April. The bill makes law a 1999 Department of Insurance stance that insurers can’t use generic aftermarket parts on any vehicle less than two years or 30,000 miles old — down from an original version that would have extended the duration to five years and 50,000 miles — or in any case where it would hurt a leased vehicle’s value. It also threatens insurers who violate a state requirement they specify aftermarket parts in at least 10-point type on an estimate with a ban on seeking aftermarket parts in the state. Right now, state law treats such a violation as an unfair claims practice; it’s unclear if both penalties would apply should Hassan sign the bill. 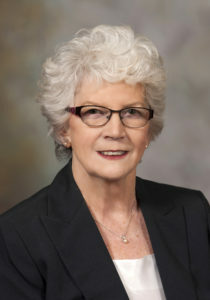 The Automotive Service Association highlighted the bill’s passage Friday, noting it supported the legislation in March. “ASA supports requiring insurers and auto collision facilities to provide disclosure of part type, description and warranty information to the consumer for all part types,” ASA Washington, D.C. representative Robert L. Redding Jr. wrote in a March 2016 letter to lawmakers. “Consumers will be best served if written consent is required for the use of these parts. For an interesting debate on the bill itself, listen to the audio of a January Senate Transportation Committee hearing. NOTE: At the time, senators and speakers were discussing an earlier version which didn’t include the aftermarket parts ban for notice violators (though the committee added it later) and which barred aftermarket parts on anything less than 5 years or 50,000 miles old. However, a State Farm lobbyist was also asked that since, it seemed like he was OK with the DOI’s current stance, why not make the 2-years, 30,000-miles regulation a formal law. “I would suggest that it’s unnecessary,” Jim Hatem said. Regardless, the debate in January does get into some of the fundamental controversies and philosophical issues regarding such parts. Here’s a couple of questions separate from the quality debate we’ve been examining a great deal lately already. Or, as Beronsky asked senators: Have you actually read your insurance policy to learn that aftermarket parts could be used? “You need to be sitting next to a lawyer to understand it,” he said. State Farm also gives customers a brochure explaining they’ll get aftermarket parts, Hatem said, and some insurers — not State Farm, he acknowledged — sell policies which guarantee consumers all OEM parts. But are consumers told that when you sell them the policy, asked Sen. Regina Birdsell, R-Hampstead. “I am not aware of any disclosure about that,” Hatem said, noting that there’s only so much that could be pitched without rewriting State Farm’s policies. “State Farm tells me that, by and large, most consumers are very happy with the idea that they get good rates and are very satisified with the repairs of their cars,” said Hatem, who said only people “fussy about their cars” care if they’re getting OEM parts. Hatem presented it as a consumer choice issue — if you want to pay for aftermarket parts, you can do it yourself. Why should State Farm spread its costs around the entire insured population? (Using the Property Casualty Insurers Association of America’s own math, It only would cost $19-$24 per premium to guarantee every customer in America gets OEM parts.) And sometimes, insurers will agree to pay for the parts, he said. “That’s not a cost that would be borne by the insurance company — or it could be borne by the insurance company,” Hatem said. The brochure asks State Farm policyholders to “Talk to your repair facility if you’d like to use them,” Hatem paraphrased. “There’s a healthy exchange between you and the repair facility,” if you want to request the parts and pay more, he told senators. But by definition, isn’t replacing a part with a different type of part not pre-loss condition, a question Beronsky raised. And while the 5-year, 50,000-mile version being discussed back then was “a good start,” why should older vehicles still not be included? he wondered.